There are few things in this world I love more than chocolate chip cookies. When they are warm, fresh out of the oven, and served with a big glass of milk – I am one happy girl! I usually make a batch of these at least once a month. (You can probably guess which week, haha.) 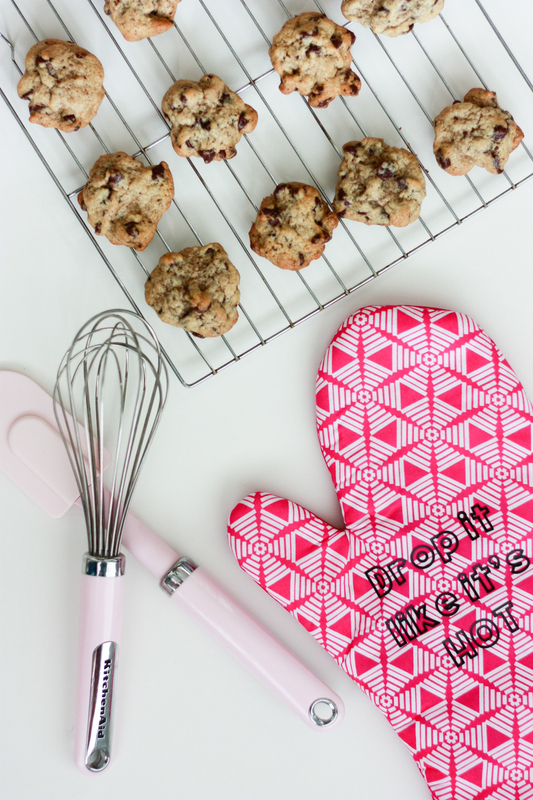 I always use the Toll House Cookie recipe, and my secret is to chill the dough before baking! It makes all the difference. 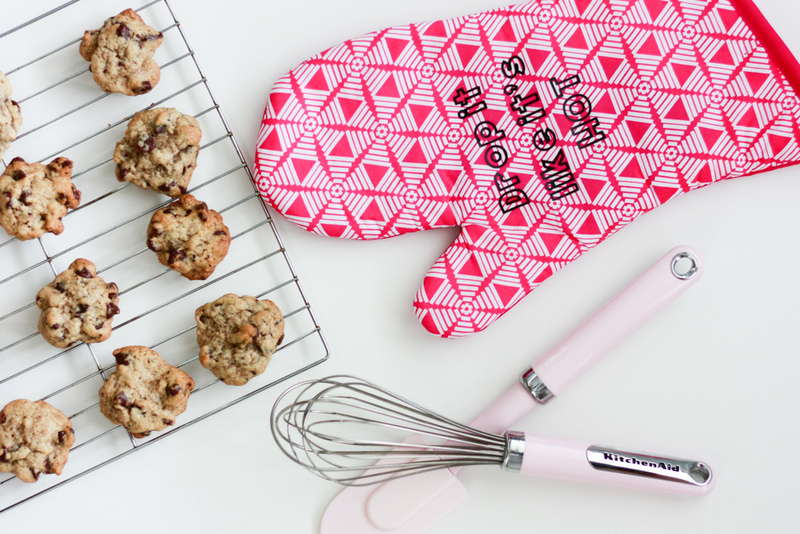 I had some scrap heat transfer vinyl, and after picking up these super cute oven mitts, I decided to make custom oven mitts! Heat transfer vinyl isn’t difficult to work with, but there are a few tricks. I customized these with a homage to a fellow crafter, Snoop Dogg. STEP 2: Cut your design with your Cricut or Silhouette machine. 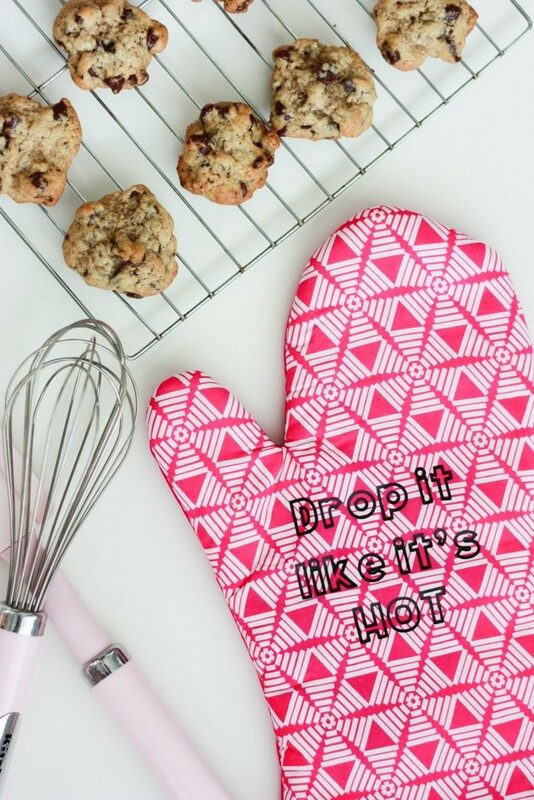 (You can use my “Drop It Like It’s Hot” design HERE). Be sure to mirror the design before you cut! STEP 3: After the design is cut, it’s time to weed! STEP 4: When you’re ready, stick down your design and adhere with heat.